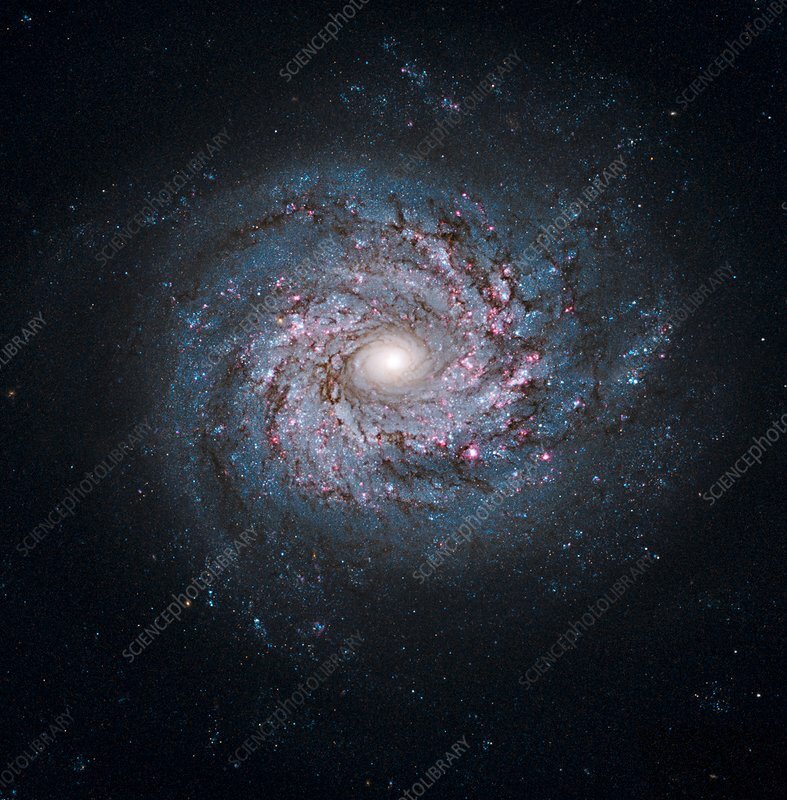 Spiral galaxy. Hubble Space Telescope (HST) image of the spiral galaxy NGC 3982. It is located in the constellation Ursa Major, approximately 68 million light years from Earth. Pink areas are star-forming regions, while new star clusters are blue. The centre of the galaxy contains older stars (yellow).